But changeEventPolicy needs to be PPR if we want backend/BC changes to be reflected in UI. So this should be good only when iterator is used for create operation and not always Right? No, its not needed at all. You should set AutoSubmit=true and PartialTrigger dependency in the fragment/page directly, without using changeEventPolicy=PPR for iterator in Page Def. This is how sample application is created. This is good for all cases, not only limited for create. In my opinion changeEventPolicy=PPR is not well tested and should not be used at all. Thanks for valuable information Andrejus. In combination with AutoSubmit=true, having ChangeEventPolicy=ppr is the only way your UI can be automatically updated based on backend data changes. 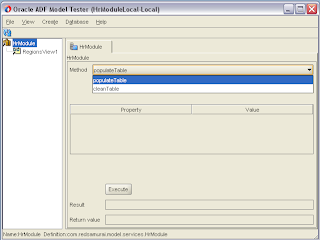 If you have the luxury of knowing every possible combination of which field-value modifications will result in which other field's values changing, then you could theoretically account for all of those combinations using manually-configured partial targets, however in general your UI layer won't know what backend logic may result in what data changes. 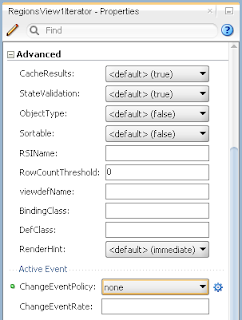 The ChangeEventPolicy=ppr leverages the built-in data-change-notification in ADFBC to automatically cooperate with ADF Faces and ADF Model binding layer to add the UI component id's to the partial targets list for any UI components bound to data that gets modified, no matter how it gets modified. Furthermore, consider a future scenario where the application you developer and deliver (perhaps in the cloud) is able to be customized by a special "business admin" user at each customer site. They might be able to add custom business logic, custom calculated fields, or other artifacts that would result in attributes being changed in a way that your own out-of-box application logic could not possibly have foreseen. 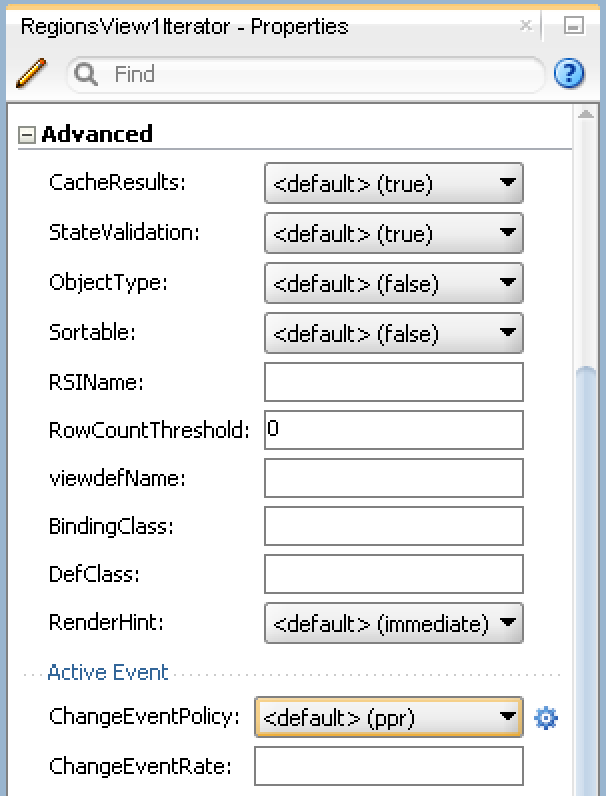 So, ChangeEventPolicy=ppr is really your friend in these cases. 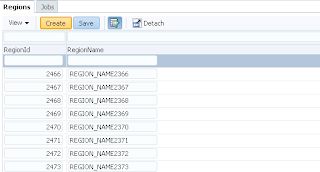 For this issue, given that ADF Faces tables are a bit grumpy and ill-behaved with row-data that has null or changing primary key values, I'd recommend ensuring that the RegionId in your example app is populated at row create time so that ADF Faces will always have a well-defined primary key, and futher I suggest that in any ADF Faces table you don't allow the end-user to edit the primary key. Use a system-generated key and allow the user to edit some alternative primary key value that is not the real primary key attribute under the covers. 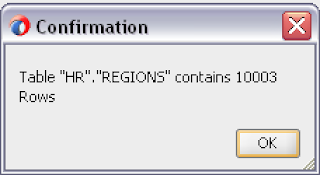 Thanks for your clear technical answer. This is clear now, empty row key for the reason for PPR mode strange behaviour. I like your strong message about auto-generated primary key (not allowing users to edit it), I seen many issues related to this (and one described in this post, is one of such issues). I will use it as argument against user editable primary keys. Just a quick one, is there a chance the changeeventpolicy value can be globally set at one point in an application? 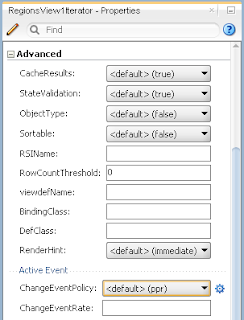 Say the adfc-config, web.xml or databinding file? 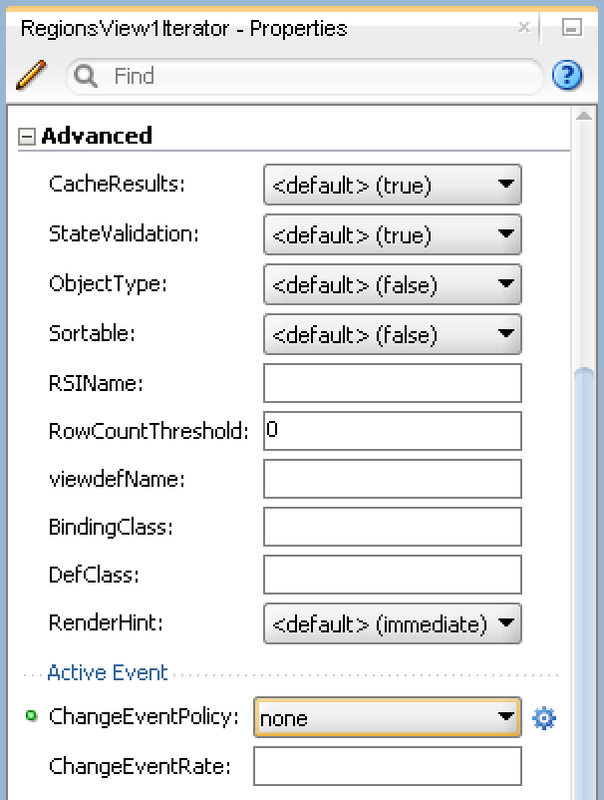 So all pages with default changeeventpolicy inherit such settings? 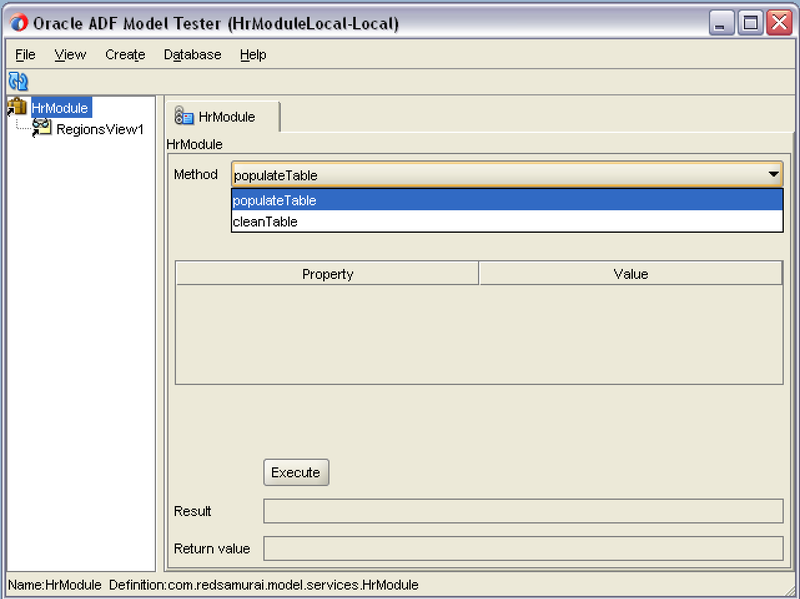 Yes, you can do this in adf-config.xml file - check in ADF META-INF folder. By default Change Event Policy is set to PPR. Hi Andrejus, I think I am misisngg a very basic point here since otherwise this question would have been raised by now. createRowFromResultSet is a callback for executeQuery(), can you clarify why/how it is being called when you create a new row? Is it because the iterator binding changeEventPolicy was ppr? Using jdev 12c, I tried a simple, similar app for HR.regions table with createInsert, and when I add a new row as expected createRowFromResultSet wasn't called in the flow (didn't change changeEventPolicy default value of ppr). createRowFromResultSet is called to create new row in the rowset collection. Whenever new row is fetched/inserted into rowset - this method should be called automatically. I have tested a bit, and found the following. It seems createRowFromResultSet is called when changeEventPolicy is ppr, but not when it is none (as ppr happens). Apparently it's not called for the new row being inserted into the rowset. Has your observation been the same? 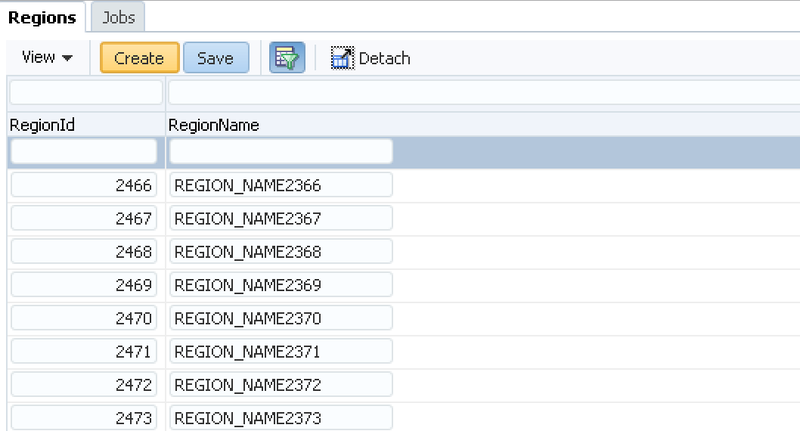 Also, with changeEventPolicy 'ppr', when new row is created this method is not called 40000 odd times if we set the RegionId during row creation as Steve suggested; but it's called when we save the new row (and I found nearly 25 (rangeSize) records being fetched). I would need to test your 1st statement. For the 2nd statement yes, you need to pre-set key attribute - see my answers above. In line with Steve's answers. Correction in my previous comment: The first line should have read : "it seems createRowFromResultSet is called when changeEventPolicy is ppr, but not when it is none (as ppr DOES NOT happen)". OK, I plan to test it tomorrow.